Editor's Note: Moving right along with our series of viewpoints and predictions from thought leaders, here's one from Platinum Fellow Matt Katz, M.D. (@subatomicdoc). When I contacted him via DM (direct message) on Twitter about the somewhat dismal nature of his observations, Matt reminded me, "Correlation isn't causation so we can hope I'm wrong." And yes, he added a smiley face. The ACA created incentives for Accountable Care Organizations to “give coordinated high quality care” with promised shared revenues for cost savings. The size of ACOs needed to achieve any savings favors hospital industry consolidation. Dollars now spent on legal fees and costs of integrating different hospital systems mean less available for patient care, attracting quality physicians, or investing in new services. Hopefully all these resources will be a good investment for future cost savings, but don’t count on it. Robert Wood Johnson’s Synthesis Project (2006) reported likely increases of 5% or more in health care costs with consolidation. The effect is worse in smaller geographic areas where oligopolies are created. In California, concerns were raised about higher costs occurring when hospitals and providers bargained together with payors. In Massachusetts earlier this year, the Suffolk Superior Court stopped a merger for Partners Healthcare due to concerns of increased costs for the Commonwealth without proof of improved access or quality. 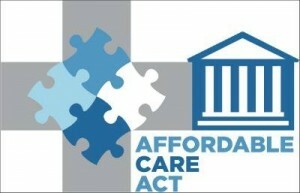 The HITECH Act passed in 2009 as part of a stimulus package designed to expand use of electronics health records (EHR). Up to $27 billion in incentives were authorized to promote EHR adoption with the goal of ‘meaningful use’ – improving the quality of care. The cost of implementing EHRs is hundreds of billions more than the government incentives. Software purchase and maintenance, training staff, hiring medical scribes are more money diverted from helping patients. Again, There’s no good evidence to date that EHRs will improve outcomes . Technology is no panacea but continues to drive healthcare costs up. And as stimulus funding dries up, EHR consolidation is next – forcing many professionals to relearn another system and hospitals to pay more for surviving systems. Consolidating electronic health information makes it easier to raise costs through medical fraud and identity theft. A recent multinational report confirms healthcare data breaches are the most expensive, costing an average of $398 per exposed person in the U.S. Anthem had a breach of 80 million customers earlier this year; do the math. EHRs make another potentially rewarding target. What will happen as Epic Systems, the largest EHR provider, becomes cloud-based? EHRs are also designed for charge capture more than clinical use. So a lot of time is spent by providers learning a clunky system and less time focused on patients. This has spawned a new profession: medical scribes who document so the doctor or nurse can focus on patients. There may be some cost savings, but medical scribes are an unintended consequence that only increases the number of people needed to do the same job. Speaking of jobs: increasing numbers of doctors are employed by hospitals rather independent practice. There’s no strong evidence this trend improves outcomes, but recent data suggest physician employment increases the cost of healthcare. Some doctors don’t want the increasingly complex challenges of private practice. With median debt levels of $180,000 for 2014 medical student graduates, some may not have a choice as non-profit hospital employment can provide benefits for debt relief. Early data suggest buying practices is costly to hospitals – who pays those prices? Employment contracts may incentivize productivity (more patients, tests or procedures). With more time spend documenting, the only way for a doctor to maintain productivity is to spend less time talking to patients, and even less time listening to them. Be careful what you wish for – you might be treated like a V.I.P. The ACA links hospital reimbursement to patient satisfaction with HCAHPS. The incentivized desire to please patients may result in excessive testing, medication or hospitalization. Giving bad news about a poor prognosis could help curb excessive treatment but can make doctors appear less compassionate – so let someone else give it. Give the customer what s/he wants, you may get repeat customers but costs will go up. An additional problem: patient satisfaction may not be linked to good outcomes. One large study suggests satisfaction is linked to higher mortality and hospitalization. Another shows satisfaction is linked to less readmission rates but higher mortality rates. Better preventive health services use is actually linked to worse patient satisfaction. While it’s important to be responsive to people’s needs, patient satisfaction is not a good measure of good care. Using HCAHPS may also unfairly penalize hospitals with underserved populations. A recent study showed white, educated, English-speaking hospitals were more likely to have high HCAHPS scores. Ultimately this may limit access or growth of new programs where they are needed most. When people don’t have access to care, they’re more likely to go online for health information. There are some benefits, but there are also risks. It’s a great place to be exposed to a lot of direct-to-consumer marketing and anecdote. Social media are great resource for illicit online medications, and often what patients learn from DTCA and discuss with doctors may be problematic rather than helpful. Celebrities sharing opinions on health may also make it more difficult. Younger, more educated people use the internet for health information, but they’re also more likely to be misled by anecdotes while feeling more empowered. Unfortunately There’s a tendency for sicker people to share experiences more online, risking misperception of the severity of illness or treatment side effects. This selection bias sharing bad stories may then excessively undermine public trust in health professionals and hospitals. When used through a patient portal, online access may be linked to more office visits, telephone calls, ER visits and hospitalizations compared to patients who didn’t have online access. Effectively that means tilting clinical care toward patients who go online, meaning less time in clinic for patients who use the internet less. The ACA provides access to insurance, but increasingly people have poorer coverage. A recent report suggests 31 million people are underinsured, increased to 23% of adults 19-64 in 2014 compared to 12% in 2013. The main cause is linked to higher deductibles. As a result, 44% of underinsured people have had at least one cost-related access problem. There may be other unfavorable or favorable trends you have thought about. Many of the issues are complex and interrelated. Hopefully I’m wrong. But ignorance is not bliss. We need to question where we’re headed now that ACA and HITECH implementation move forward. What do you see on the horizon for health care? Correlation isn't causation so we can hope I'm wrong. Editor's Note: Moving right along with our series of viewpoints and predictions from thought leaders, here's one from Platinum Fellow Matt Katz, M.D.